Mary Thom, feminist and former editor of Ms. magazine, died in a motorcycle accident on April 26. She was 68 years old. Ms. magazine began in 1971, as a once-off insert in New York Magazine. At the time, most women’s magazines gave advice regarding marriage, children, or beauty. Though Ms. was heavily derided at the time, its 300,000 copies sold out within eight days – paving the way for a proper monthly run, beginning in 1972. Thom served as editor for about 20 years. During Thom’s time as editor, Ms. tackled the topics of abortion (still illegal at the time Ms. addressed it in 1972) and domestic abuse (a cover story in 1976, shockingly featuring a bruised woman’s face). The magazine also rated presidential candidates in terms of their commitment to women’s issues. Through Ms. magazine, the feminist viewpoint found a mainstream audience. 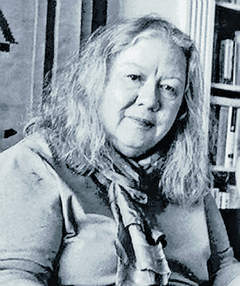 Thom remained editor until 1992, though her resignation from Ms. did not signal a growing disinterest in feminist issues. Thom also co-wrote an oral history of feminist activist Bella Azbug, and served as a features editor for the Women’s Media Center. She is survived by a sister and other relatives. This entry was posted in News and tagged feminist, in brief, mary thom, ms magazine, obituary. Bookmark the permalink.